The Chinese Lexicon is a detailed study of the words and word combinations used in modern Chinese. 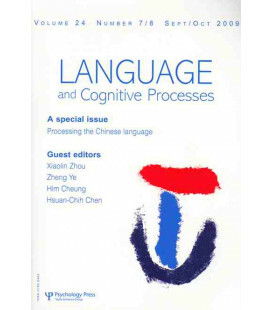 Yip Po-Ching defines the general properties of a language's lexicon, or vocabulary, prior to a thorough discussion of the organizational features of the Chinese lexicon. Comparisons are made between Chinese and English, highlighting the similarities and differences between the two lexicons. The Chinese Lexicon surpasses the scope of a dictionary and reveals the systematic nature of vocabulary. It will prove an invaluable resource for all students and teachers of Chinese.